By Road or by Rail …. 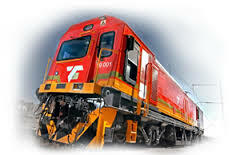 Transnet Freight Rail is a freight logistics and passenger transport railway. 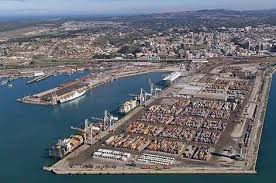 It is the largest freight hauler in Africa. Luxrail – The operation of the Blue Train, which is designed as a five-star hotel on wheels. Offering greater flexibility, speed and adaptability than the alternative of rail, transporting goods between cities by road has long been the chosen mode for most industries. However, the impact of heavy vehicles on the roads is considerable and the cost of maintenance and upgrades is increasing as traffic demands grow. Whilst work on the national road network may be keeping up with the demand, not so on the provincial roads. The benefits of shifting freight from road to rail would have other transport-related spin-offs such as reduced road congestion and accidents, and less maintenance on road surfaces. Costs, particularly for movers of bulk commodities, would also drop. Rail transport also is regarded as three to four times more efficient than road. But whether South Africa’s rail system will cope with increased freight demand is questionable. If there was a reliable, safe, efficient, and cost-effective rail service that could meet the need of customers then goods would definitely travel by rail. But there isn’t, so that is why 80% of goods are currently transported by road for the efficiency, cost, reliability, tracking and door-to-door service. Improving the country’s 20 247 km rail network is now a top government priority and rail volumes are expected to grow to about 350 million tonnes by 2020. According to Transnet’s website: “ Expanding the country’s infrastructure by successfully implementing the Market Demand Strategy (MDS) will see Transnet’s revenue almost triple from R46 billion to R128 billion over the next seven years.” Transnet’s MDS is a fine-tuned strategy to expand and modernise the country’s ports, rail and pipeline infrastructure with a view to achieve a significant increase in freight volumes, particularly in commodities such as Iron Ore, Coal and Manganese over a period of seven years to promote economic growth in South Africa. Through investment, Transnet Freight Rail will be able to optimise it’s capital portfolio, build a world-class capital execution function and leverage capital procurement and localisation. In accordance with the strategy, the company has committed itself to railing more than 350.3 million tons of cargo a year by 2018 / 2019, the financial year when the MDS will reach its maturity. Currently on our database we have 11 live tenders for Fleet Management versus 40 live tenders for Transnet. Rail vs Road…what would your choice be? These days it’s the norm to find most businesses online. I don’t know about you but if I’m looking for company info in any form should it be trading hours, contact info, services they offer or any news regarding that company, I head straight to Google. The easier it is to find the company website the better and if it contains all the relevant info I need it definitely goes a long way toward a first impression. Suffice to say a company’s online presence not only saves you time but in the end money too and that is no different when it comes to business, the well known phrase ‘time is money’ comes to mind. If you have ever ventured over to Transnet’s website you will notice there is a huge amount of information provided from the usual contact information to investor relation reports and a whole lot of tender related info. The website looks organised and seems to have all the relevant details one might need. Now I must confess that I am not very familiar with Transnet’s website as we don’t deal with the website much in my department. Thus I looked outside for review/comment from the Tenders Department who regularly peruse the website. According to my sources in our Tenders Department they haven’t had any issues regarding the website and check it as frequently as possible. 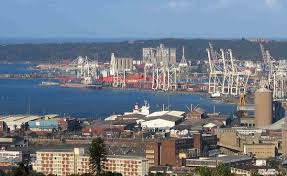 Additionally Transnet also publishes their tenders on CIDB and eTenders timeously which makes it easier for interested parties to obtain the relevant information they seek. At L2B we research all the relevant websites and divisions within Transnet that publish tenders and publish them on our site daily for easy access and updates for our subscribers. Do you feel that Transnet meets the above aspects of an online business and does it assist you with being on time? 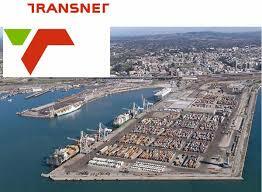 Do you have any feedback or views you would like to add regarding Transnet’s online presence? Contact us in the comment section below. Well, well, well, just look at this, my second blog 🙂 (Pat on the back for me). I am excited and nervous at the same time, but let me take a deep breath…relax…and do this. This month I will be chatting about the types of Tenders that are offered by Transnet. OK, this can’t be that bad a topic, can it? I mean, it’s just Transnet right? This will be a quick one, phew, definitely relaxed now, easy peasy lemon squeezy. With my fingers doing the walking I search for the Tenders offered by Transnet on our awesome website, and low and behold, there they are…wait…what!? This can’t be right, looking at the screen with wide eyes and slowly but surely starting to hyperventilate, I begin to realize that this is not going to be as easy as I thought. Upon my lovely search I discovered that we have housed a whopping number of 13 030 Tender Notices for Transnet so far. Breathe…Breathe….Breathe…ok, I am running for the hills! Goodbye…. Ok ok ok, I am back from Bora Bora with a new mindset about this blog, I can do this. Where were we? 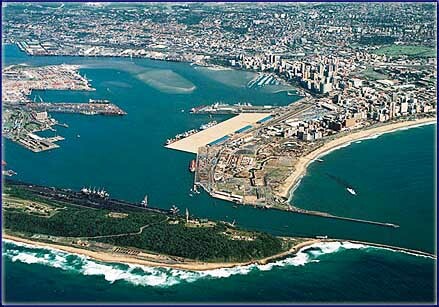 O yes, that’s right, 13 030 Tender Notices are housed by L2B to date, but what can you expect from the largest and most crucial part of the freight logistics chain that delivers goods to each and every South African through its pipelines and both to and from its ports? 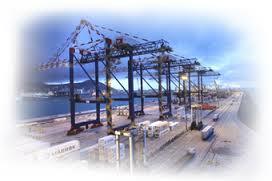 Moving cargo onto ships for export while it unloads goods from overseas. So, lets dig a little deeper shall we? 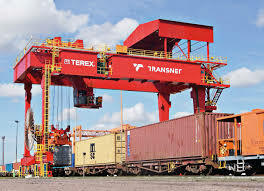 Transnet operates an integrated freight transport, formed around a core of five, yes five, operating divisions that complement each other (which we will look at shortly). These are supported by a number of company-wide specialist functions such as Transnet Projects which underpin the group as a whole. What is the PRASA Saga all about? The PRASA Saga – What is it really about? The PRASA (The Passenger Rail Agency of South Africa) Saga revolves around an Upgrade Project that was out outsourced by PRASA to Swifambo Rail Leasing which in turn awarded the contract to Vossloh España for R3.5 billion. The height of the Afro 4000 Locomotives purchased for the Shosholoza Meyl long-distance passenger service in relation to the height of the overhead power lines has come into question. The Initial order height for the locomotives was 4.262m high and the current height is 4.1m. All current locomotives in use have a maximum height of 3.965m. The normal accepted safe distance between a locomotive roof and electrical cables is at least 150mm (ie. the cables should be at least 4.5 metres above the rail tracks). Although the power lines are supposed to be no lower than 4.5m there are many places in the country where, because of poor maintenance, overhead wires are much lower. In order to provide safe travel conditions for the new locomotives overhead power lines will have to be raised, the costs of which are unclear at this point. February 2014 – A report from PRASA in February 2014 points out four places where overhead lines are as low as 4.22m. January 2015 – One of the four batches of locomotives procured by PRASA from Spanish manufacturer Vossloh España arrive in Table Bay Harbour. March 2015 – Transnet Freight Rail General Manager, Caesar Mtetwa wrote to to PRASA’s Chief Engineer, Dr Daniel Mtimkulu, stating the locomotives exceeded the permitted height limit for Transnet’s rail system. 5 July 2015 – ‘Rapport’ publishes an article stating the Locomotives procured are “too high for the long distance routes they were intended for”. 6 July 2015 – Lucky Montana, the CEO of PRASA speaks at a media briefing regarding the “grossly misleading” article published in Rapport. * PRASA sent a message to Spain on 5 November 2013 to ask whether the locomotives, which had been ordered eight months previously, could be lowered. * PRASA wanted the locomotives heights lowered to 3 965mm. * But Vossloh España said in a letter, which Rapport obtained, that the PRASA request was not possible, “Although it is not possible to reduce Euro 4000 locomotives’ height below 4 140mm … it is understood that with actual height and with the information we manage, the locomotives should be acceptable for operations on South African tracks,” sent in late 2013. * 1 week later PRASA paid R468m for the first locomotives. 16 July 2015 – PRASA Board resolves that CEO of PRASA, Lucky Montana will not be required to complete his notice period (1 June to 31 November 2015) due to him not complying to the conditions of serving out his notice. 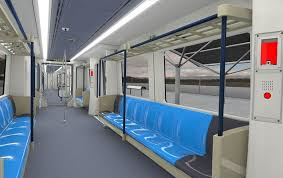 17 July 2015 – PRASA Executive Manager for Engineering, Daniel Mthimkhulu, is suspended as a result of an inquiry revealing he lacked the necessary qualifications. 17 July 2015 – The Public Protector’s office confirms it has concluded an investigation into PRASA and CEO Lucky Montana after a union requested a probe in 2012 into allegations of maladministration relating to financial mismanagement and tender irregularities and will be “ready to release it on 23 July”. 23 July 2015 – The Public Protector, Thuli Madonsela postpones the release of her report. According to City Press, staff at PRASA had approached Madonsela requesting to make representations against Ex CEO Montana now that he was not at work. “They feared they would lose their jobs, but now they feel at ease and want to make submissions,” said a government official. 23 July 2015 – PRASA Chairman, Dr Popo Molefe reports that he has received death threats which have been reported to the Police who are investigating ‘a case of conspiracy to commit murder’. 27 July 2015 – PRASA Executive Manager for Engineering, Daniel Mthimkhulu resigns. PRASA is to continue with its criminal case against Mr Mthimkulu. Is all this controversy really over a 400mm clearance between a locomotive and the contact wires or is it something more? 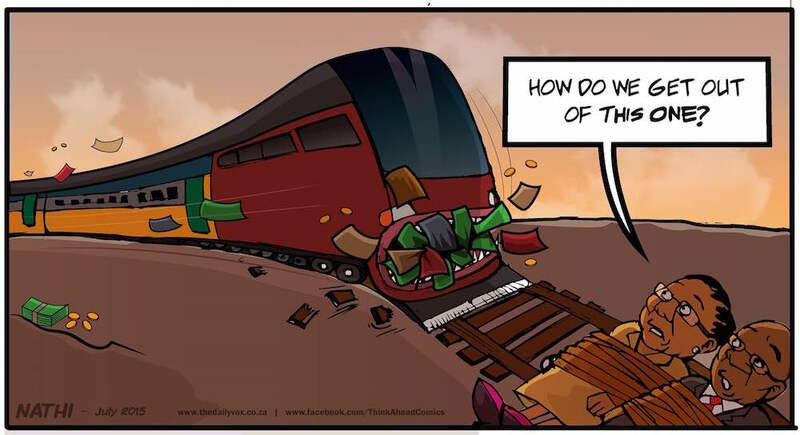 Is it about R3.5 Billion which has been spent on locomotives which may not be able to operate on our railways? Is it about Politics? Is it about Corruption? Is it about Tender Irregularities? Is it about a lack of leadership? In essence what is leadership? The following adjectives come to mind: Accountable, Alert, Approachable, Authentic, Aware, Communicative, Credible, Customer-focused, Decisive, Dedicated, Ethical, Knowledgeable, Moral, Motivating, Pro-active, Responsible, Transparent, Trustworthy and Vigilant. Does this describe those in leadership roles in the PRASA Saga?